A single-purpose extension that makes it easy to disable/enable Solution Explorer's dynamic nodes such inline Class View nodes from C# and VB files. 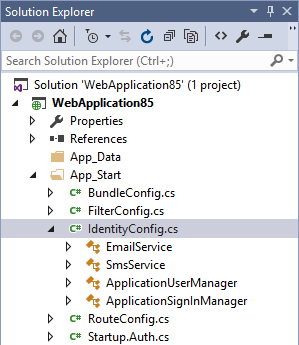 A single-purpose extension that makes it easy to disable/enable Solution Explorer's dynamic nodes such as inline Class View nodes from C# and VB files. This extension disables all dynamic nodes implemented using the IGraphProvider interface, so there might be other nodes besides the Class View nodes that will be disabled. However, this extensions allows you to turn the feature back on without leaving a trace, so it is safe to try out. Visual Studio doesn't allow to turn off just a single implementation of the IGraphProvider, such as inline Class View, so the entire feature has to be disabled. Solution Explorer injects extra virtual nodes under certain code files to give a sneak peek inside them. Though it provides more information about a file, it also adds complexity to the Solution Explorer that may confuse more than help. One of the issues with in inline class view is that it makes it more difficult to find nested files. 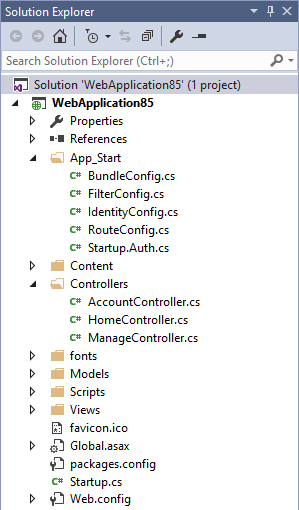 When files are nested under C# files, it is impossible to tell since it looks like any other C# file with the expander icon next to it. It's only when the file is expanded that the nested file becomes visible. In this example the file VSPackage.resx is nested under the C# file VSPackage.cs but it's only visible when the file is expanded. Under the top-level View menu, a new button is added to toggle the visibility of the inline class view. Clicking the button will prompt the user with a question to proceed and restart Visual Studio. Clicking Yes will toggle the inline class view feature on/off and restart VS. The result is a much cleaner Solution Explorer.